45 LISTS It's a ConspiracyDid you read that article that linked so-and-so to that guy from the thing? Or see the video about how this is the same as that? Come on, let's weave some tangled webs! Many present the truth about Chernobyl as such: on April 26, 1986, a nuclear reactor at Chernobyl erupted, instantly terminating two people. Over the next few months, dozens more people succumbed to the effects of acute radiation syndrome (ARS). The world watched in horror as the city of Pripyat (then part of the USSR, now part of Ukraine) and surrounding villages fled permanently from the flood of radiation estimated to be more potent than the device dropped on Hiroshima. People didn't understand how a routine safety check could create such a catastrophe, and many were left wondering what really happened at Chernobyl. Collectively, over 150,000 people in the region were immediately affected by the world's most devastating unintentional nuclear incident (ranked evenly with Fukushima). That number is nowhere near the millions who have been affected by the trickle-down effects of radiation; generations following the disaster have been plagued with various forms of genetic diseases and mutations. The government maintained the incident was the result of a flawed reactor design, coupled with human error, insinuating the workers weren't sufficiently trained to handle any sort of emergency situation. However, the truth about Chernobyl remains muddied with various conflicting conspiracy theories, spanning everywhere from CIA involvement to, of course, aliens. For over 30 years, the area remained largely abandoned, with any evidence of conspiracy being left to rust with time. Today, eerie ruins are open to those who dare to brave the still-questionable radiation levels. An amusement park sits untouched, schools stand empty, and strange, Soviet radio equipment rusts in the woods once razed by radiation. If the alleged ghosts of Chernobyl could speak, what would they have to say? Dive into the conspiracy theories of the devastating Chernobyl disaster. Starting in 1976 and carrying into the '80s, everyone with a radio began hearing an obnoxiously loud and alarmingly strong radio signal. The signal was strong enough to gather complaints from countries around the globe, and it was soon deduced the signal was coming from somewhere behind the Iron Curtain. Dubbed "The Russian Woodpecker," the signal was assumed to be exceptionally forceful "over the horizon" technology, meaning its job was to look out for any missile heading for Russia. Unsurprisingly - given the Cold War - it was facing the US, though it continued to irritate the world over. Before the disaster at Chernobyl, the location of the military radio base was so classified it was marked as a children's summer camp on maps. However, the disaster left Duga-3 abandoned in the Exclusion Zone (the name of the nearly 12 square miles of fallout area surrounding the nuclear base). It is now a tourist and conspiracy theorist destination. However, theorists wonder if the base was really just another Soviet structure abandoned in the wake of the disaster, or if it was actually the root of the tragedy itself. Some believe when the $7 billion project turned out to be a flop (natural forces interfered with the radar, rendering it useless in terms of intercepting potential projectiles), high-up Soviet bureaucrats ordered the nuclear meltdown in order to save their own positions in power. 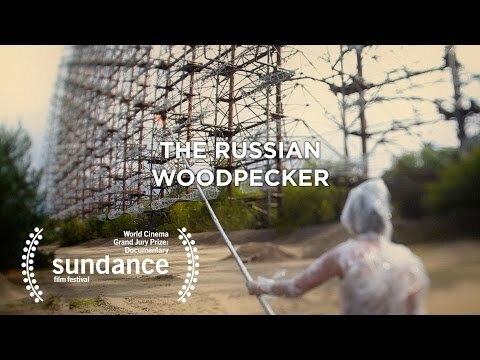 The top-secret failure of a radio base was the main focus of Chad Gracia's 2015 documentary The Russian Woodpecker. In the film, Ukrainian performance artist Fedor Alexandrovich wildly tries to get to the bottom of the Duga-3 conspiracy. He interviews all sorts of officials and personnel involved in the Chernobyl disaster and subsequent cleanup, mostly getting reactions of, "you're insane." The radio system itself at Duga-3 is a huge, insanely futuristic-looking setup of Soviet era radio wires and antennae that jut into the sky like some great, metal insect. Alexandrovich insists this specific structure is the real culprit behind the Reactor 4 meltdown. However, there is some truth to his claims concerning the Russian Woodpecker cover-up conspiracy. The Aurora Borealis (Northern Lights) affect satellite signals, and all radio systems should be built taking this into consideration. He assumes Duga-3 was not built with the Northern Lights in mind. He also confirmed a decent amount of Soviet engineering lacked thorough planning and safety consideration; the test which caused the reactor to erupt was actually the second version of a safety experiment that had failed the previous year. The documentary also stresses the fact the radio base cost nearly double that of the Chernobyl nuclear power plant - a costly failure by any generation's standards. When the incident happened in 1986, Duga-3 was in the Exclusion Zone, meaning all military personnel there dropped whatever they were doing and evacuated along with everyone else. The huge, futuristic radio station was left unmanned. The bizarre thing is the obnoxiously recognizable ticking signal the station sent out continued to do so for three more years. Then in 1989, it suddenly stopped. The signal itself had garnered all sorts of conspiracy theories back when it first started terrorizing the world's radio waves in 1976. At a frequency of 10Hz, worried listeners claimed it was for everything from mind control to weather control, but nobody could pinpoint the location of the signal. Those who believe Chernobyl was a cover-up for Duga-3 like to point out the mysterious circumstances and highly classified shroud around the base. It was clearly important to the military, but was it important enough to cause the worst nuclear meltdown to date in order to protect whatever secret it was hiding? In 2013, radio users were surprised to hear again what was the undeniable tick of the Russian Woodpecker signal. Conspiracy theorists quickly got excited, but the signal was dismissed as contemporary Russian "over the horizon" technology - one that would hopefully work this time. So, about that whole thing where the Russian Woodpecker radio signal could detect incoming projectiles? Well, conspiracy theorists like to postulate the signal could also be used to guide and launch their own, which were stored underground. It reads like the plot of a Soviet spy movie, but a 2017 Science Channel special, Mysteries of the Abandoned, explores this theory. Theorists believe in an attempt to thwart the USSR's nuclear capabilities, the CIA sabotaged equipment at the Chernobyl nuclear plant, causing the malfunction that triggered the reactor to malfunction. The hour-long episode follows an American civil engineer (and self-admitted Chernobyl researcher) Philip Grossman as he pokes around the Exclusion Zone with what seems like an alarming amount of freedom (the area is still highly restricted due to obvious radiation hazards). Grossman's theory follows this conspiracy line, insinuating there was a major, top-secret radio base close to the nuclear power plant.